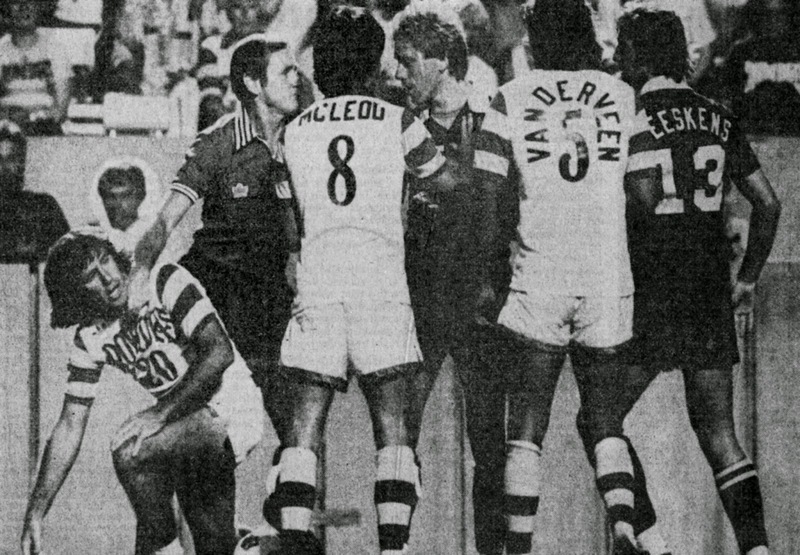 Wes McLeod and Jan Van Der Veen act as peacekeepers, whilst Oscar Fabbiani picks himself up, during a game against the New York Cosmos at Tampa Stadium in 1980. The dreaded Cosmos. Go Rowdies!